Since the beginning of my interest in Stoicism one of the things that attracted me to it was the fact that it is compatible with a number of different metaphysical and religious positions, as well as that it has several similarities with other religions-philosophical traditions. One such tradition is Buddhism. Which is why I was happy when Bob Wright invited me to have a video conversation with him about the similarities and differences between Stoicism and Buddhism. 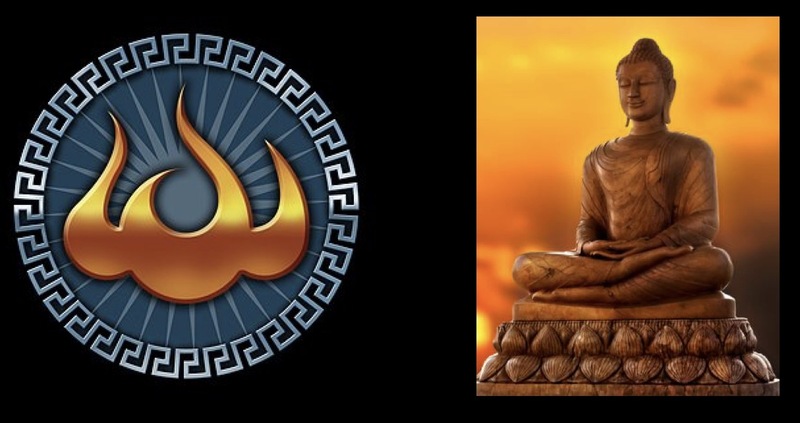 We started out briefly talking about our respective new books, How to Be a Stoic and Why Buddhism is True, briefly chatted about some of the more obvious similarities between the two philosophies, and then explored a little bit of the metaphysics of Stoicism. Bob and I inquiried about whether there is a Stoic equivalent of the Buddhist discipline of “not-self” (I don’t think so, I think that’s actually one of the major differences between the two philosophies), and then explored my recurring Stoic advice column as an example of practical philosophy in action. From there, somewhat naturally, we talked about Seneca’s advice on anger, and moved to two final topics: how to achieve a more objective awareness of your emotions (in both Stoicism and Buddhism), and how to use meditation (in the case of Buddhism) or mindfulness (in the case of Stoicism) to cope with feelings of failure. This entry was posted in Modern Stoicism, Other philosophies on June 26, 2017 by Massimo. Due to time limitation, I could not watch the video. However, exploring other approaches is a good idea for knowledge especially from 2 that promote practises of self enhancement. I assume there are distinct cultural and historical differences, but they aim the same end-results. Thank you for posting this deeply interesting discussion. Just a brief comment on the ‘self’ of stoicism and the ‘not-self’ of Buddhism. Neuroscientific research seems to indicate that the ‘ego’ or ‘self’ is a mental construct created by our brains to enable us to survive and thrive as complex social animals. It is postulated that ‘self’ ceases to exist in deep sleep and is reconstructed by the brain with each return to awareness. My understanding is that expert meditators experience a complete cessation of ‘self’ and that, when they are in a deeply meditative state, their brain activity mirrors that of a brain in a state of deep sleep. It appears that this sense of ‘self’ or ‘self-consciousness’ awakens in early childhood when the growing brain builds its memory networks and through these circuits develops an awareness of its individual existence in relation to others – ‘self-consciousness’. This sense of self builds and continues to be reinforced over a lifetime of remembered social interactions, only being disrupted by major mental or physical trauma, for example where people talk of losing their ‘sense of identity’or ‘sense of self’. So it seems to me that the senses of ‘self’ and of ‘not self’ could be usefully considered to be relatively fluid states along a continuum of awareness. The ancient stoics may not have explicitly stated this as such but their assertion that equanimity can only be reached through cognitive distancing and by acting as an integral part of nature seems to me very close to the Buddhist concept of inner peace only being achieved through detachment from self and acting with all sentient beings as manifestations of the ‘one’. Very nice commentary, thank you. My take is that the self is indeed a fluid aspect of our mental life. I’m not so positive about the idea that it is “reconstructed” from scratch every time we wake up, but even so, that sounds like what happens when I turn on my iPad in the morning: it goes from dormant and doing nothing to having its usual “personality” and characteristics. Ultimately, I don’t think it matters whether the Stoics or the Buddhists are right from a metaphysical standpoint, and there may not even be a “right” here, considering that both traditions couched their notions in clearly pre-scientific language, ambiguous enough that it could be made compatible with whatever neuroscience tells us. The end result in both philosophy is indeed a type of non-attachment and an appreciation of the deep interconnectedness we have with the rest of humanity and the cosmos at large.